I haven't enjoyed a good fantasy in a long time but I really enjoyed this one. I think that its strength lies in the relatability of the main character, Raz. Raz is an Atherian (dragon/lizard like) being. But all of his thoughts, feelings and actions are definitely human! In fact, he is more human than many of the humans in the story. I found this novel so easy to read. I often get turned off by complex world building and trying to remember myriad complex names and places. I didn't find that to be the case in Child of The Day Star. Of course, there are many strange names and places, but not so much that you can't keep up with what is going on. I don't want to have to take notes on who is who and what is what when I read a fantasy novel. AND THE NARRATOR IS GREAT! THIS BOOK DOES NOT DISAPPOINT!!! This might be the best of the best. Not only is the premise interesting but the pacing is perfect! I was curious from the beginning and had to read this straight through because I had to know! It wasn't necessary a fast pace book but a steady journey where you keep wanting to know what's around the corner. I also felt that story had depth to it that is missing in a lot of novels. The author was inspired by Greek Mythology, Alfred Hitchcock and Agatha Christie. That is a A-LIst if I've ever heard one. And is shows in this writing. 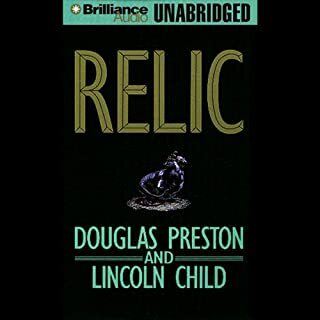 After reading this book, I really feel like I could read it again and find details and underlying meanings that I missed the first time. This would be a fantastic book for a book club. There are more layers here than an onion! When people write reviews I often wonder what other books are that they enjoy so I can gauge if we have similar taste. 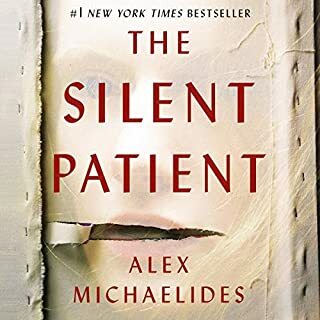 So my all time favorites are Gone Girl, The Girl Before and now The Silent Patient! Defiantly a book that will be the top of everyones list in 2019! 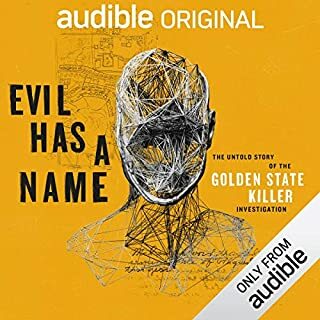 I am writing this review, after reading Evil Has A Name: The Untold Story of the Golden State Killer. Evil Has A Name was done so well that I'm sure it has had an affect on this review. The narrator was okay but I found his sentences ran together and I it was hard to distinguish between the voices. The story was long and drawn out. I found a lot of repetition. I think it could have been shorter and better. However, the story of this true crime was interesting enough to keep me reading. I found the story of what happened fascinating but I didn't feel like I needed to read this book to learn what happened. There was a lot of speculation, and in the end, open ended questions. The ending left me feeling dissatisfied. I could have just googled it! I recommend this book if you have 15 hrs and 42mins of of your life to spare. If you rather just google it, I would highly recommend the afore mentioned book, Evil Has A Name. Dimond in the rough! Surprisingly Good! 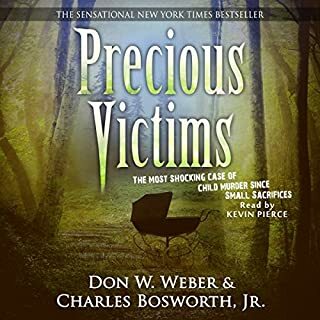 I don't usually read true crime stories but after reading a many psychological thrillers and becoming dismayed that I couldn't find another good book I decided to give it a shot and I'm glad I did. Narrator: 4 stars! Well done. Story: I was very impressed at how interestedI was in this story once I started. I usually find true crime stories a bit dry and predictable. Serial killer, yeah, yeah, kills a lot of people in awful ways...Yawn. But I was so surprised. I had never even heard of this serial killer or of his crimes. It was a bit before my time and no where near where I was brought up. So what made this story so interesting? I'm not sure if I can put a finger on all of it but I will touch on the highlights. First, this was a cold case that was solved through sheer tenacity on a small few peoples part. It restores your faith in human kind when you realize what these dedicated people go through to solve cases even though they have been cold for a long time. Even if the killing streak is over these people work so hard to be able to give families closure. Secondly, the personal testimony of the detectives who worked on the case and solved the case is told as a story (recollection) instead of a reading of a dry court transcript. It's like sitting with grandpa by the fire while he tells stories of the good old days. Third, in addition the learning of the killings, I learned a lot of the process that goes into solving serial killer crimes. I enjoyed the fact that even though there were some gruesome details they did not dwell on them nor did they spend a lot of time discussing them. 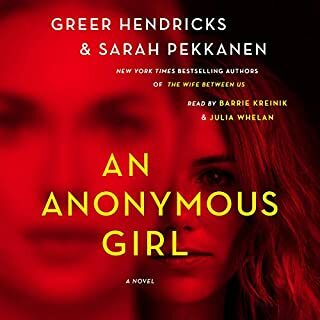 Overall, I recommend this book to anyone who is looking for a break from fiction psychological thrillers and for those who enjoy true crime stories. I'm looking forward to seeing if I can find similar books in the future. This was one of my most enjoyable reads this year! Good, solid author! Very Enjoyable! I found this book very satisfying all around. Narrator: Four stars. Wonderful listen. The Story: The story is good although there is nothing original here. This is a good 'who dun it' thriller. Still, the story is a success, probably due to the way the author spins the tale going back and forth through different POV and time lines. I have read my fair share of these thrillers and I have found that the story doesn't have to be original if the form of delivery is original. And any story is more enjoyable if there is a little surprise at the end. Pacing: The pacing is perfect. I never felt bored or like I wanted to skip ahead. Ending: Good ending! I was guessing until the end and even though I thought I knew who did it there was a nice little twist at the end. 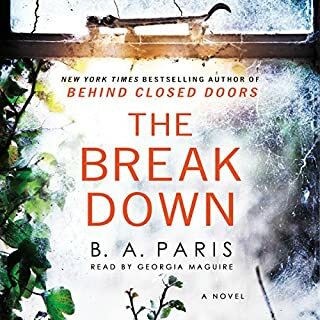 Other Books: This author also wrote Behind Closed Doors, another best seller. I'm so glad the narrator is the same. I'm partial to The Break Down though. But Behind Closed Doors is another solid read. A bit darker. This was a real let down for me. I think the problem was I was expecting a very different book. My one word summery, anticlimactic. I thought I was getting an edgy suspense thriller, after all, this is are the authors of A Wife Between Us, which I really enjoyed. The premise is very interesting. Anything about psychology interests me so when I read this was about a psychology experiment I hit purchase! So, here is my complaint in a nutshell, I kept expecting this "thriller" to go somewhere but it didn't. The ending wasn't for me. I was scratching my head asking when it was going to pick up the pace. Or hit me with a fabulous twist. It. Just. Didn't. It might have scored higher for me if I had known there was no big twist. No real mind blowing revelation. This is the antithesis of Gone Girl. And that's okay, if that's not what you're you looking for. I have be let down many times in my pursuit of the next Gone Girl. Maybe it's just time for me to move on. 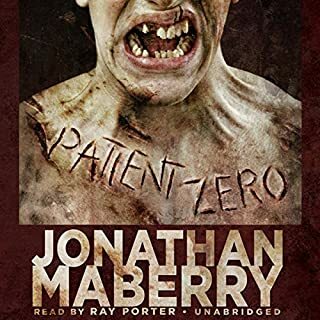 Great detective story but if you are wanting a lot of zombie action then try Rot and Ruin. Over all a good story and I'm looking forward to the next book! My main gripe about this book is that there was too much overview and not enough detail in the story. I was hoping for a little depth in how Wallace learned so quickly and so well. I wanted to know how his owner taught this underdog to become a great freesbie dog. 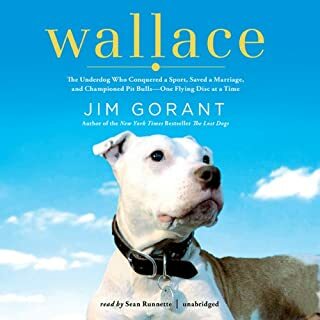 Their is more in the story about Wallace's owner and about his owner's drive to win rather than about the dog. I just found that I grew bored of the story because of the lack of depth. Maybe there was just too much information to cover and the subject matter should have been narrowed down. I have recently rescued a pit bull who shows great intrest in freesbie but I failed to come away from this book with any real insight or inspiration. I gave this story 3 stars because I love dogs and the story was Okay. As someone else aptly put it, this is a YA novel, adjust your expectations accordingly. I don't think that I could state it better. There are YA novels and then there are YA novels. As an adult I enjoy some of the YA novels that appeal to the older crowd. This is no Hunger Games. 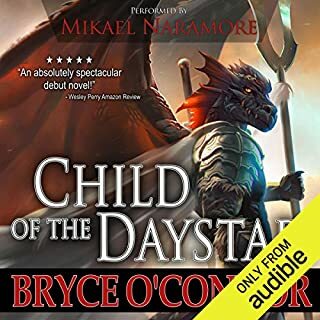 I would say that any one between the ages of 13-17 might enjoy this book if they are not expecting any extensive world building and are not expecting much in the way of depth from their novel. 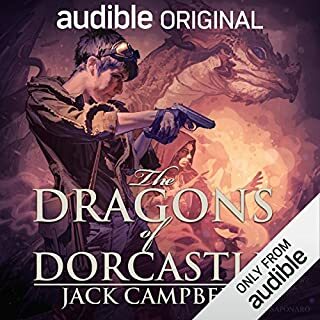 I did listen to the entire book and eventhough I found it to be very flat and poorly developed, i enjoyed the narrorator and, therefore, was able to listen to the entire story. I would say I would have to give the story a 2.5 star. I can't say I will be reading the next book in the series. Too many other good books out there. What made the experience of listening to Relic the most enjoyable? I really enjoyed the descriptions of the New York Museum of Natural History. The authors give a glimps into what the public dosen't see...the rest of the iceburg hidden below the depths of the waters. In a way this book made me think of the TV series Bones. A great adventure in many ways. Pendergast! Confident, quiet and smart with an adorable southern drawl. Pendergast is fantastic and I can't wait until I can read the next in the series. Any fan of audio books knows how important the narrarator is. They can either make or break a book. This is one of those narrarators that I would listen to even if the story was not something I was interested in. Fantastic! Lots of action, lots of interesting, well developed characters and never any confusion on who is who and what is what. I don't scare easy. I find that most stories that are horror or supernatural are either dark and depressing or just gory. This book is the type of scary I like. The anticipation is wonderful. Monsters that going bump in the night!